Directors Anthony and Joe Russo say the core of CAPTAIN AMERICA: CIVIL WAR is the connection between Steve Rogers (Captain America) and Bucky Barnes (The Winter Soldier), a friendship that dates back to the 1940’s. For the first time Captain America film is forced to make the selfish decision and finds out, how far he will go to rescue his best friend. 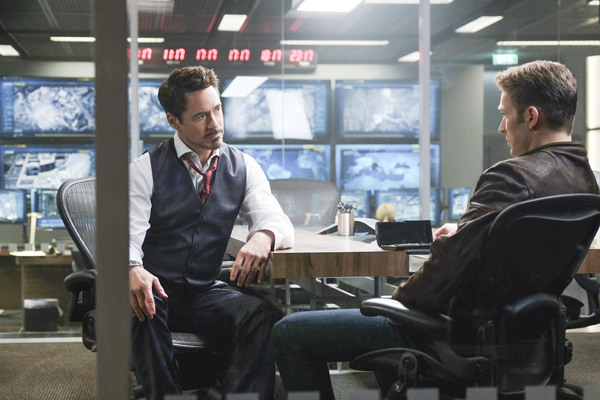 Continue reading for more from Directors Anthony and Joe Russo Discuss on CAPTAIN AMERICA: CIVIL WAR, and click here for all our images, news, and trailers from the film. With the box office and critical success of Captain America: The Winter Soldier, producer Kevin Feige and his team were excited to bring Directors Anthony and Joe Russo back for the third movie of the franchise.